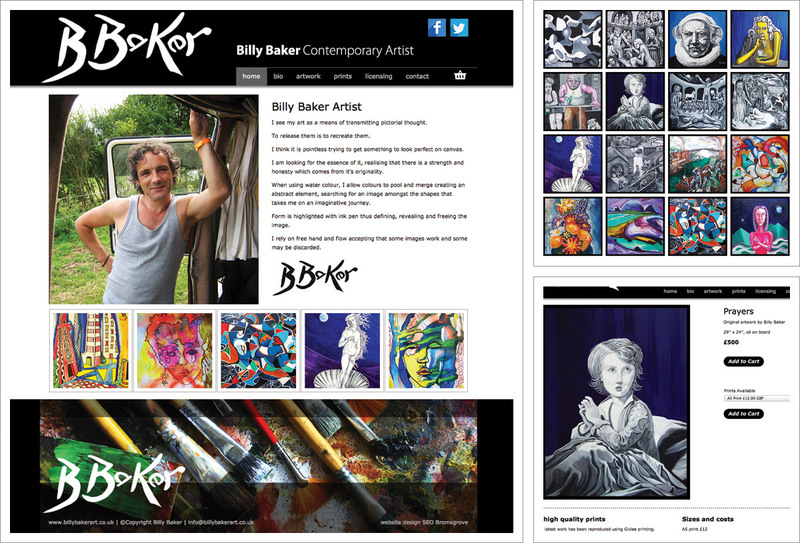 Original artwork and stylish, high quality prints for sale via the new Billy Baker e-commerce website. further promote Billy’s work and to draw people to his website. Artwork and Prints are displayed in an online gallery of thumbnail images displaying Billy’s vibrant portfolio leading to a further page dedicated to each piece and providing more information and the ability to purchase online. PayPal handles all aspects of the transaction safely and securely. Domain name registration, web hosting and mailboxes have all been organised by Pedleyonline on behalf of Billy Baker.